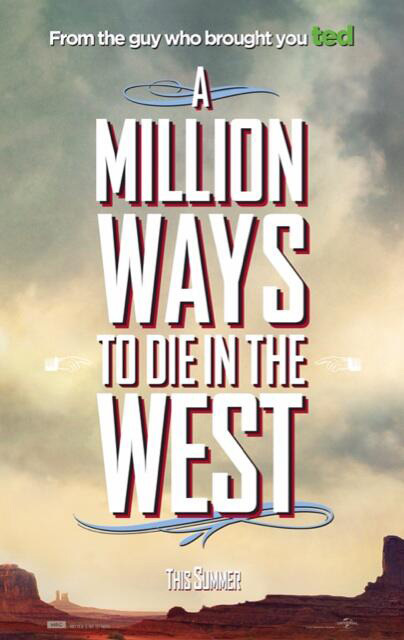 Writer and director Seth MacFarlane has released eight posters for his upcoming western comedy A Million Ways to Die in the West. 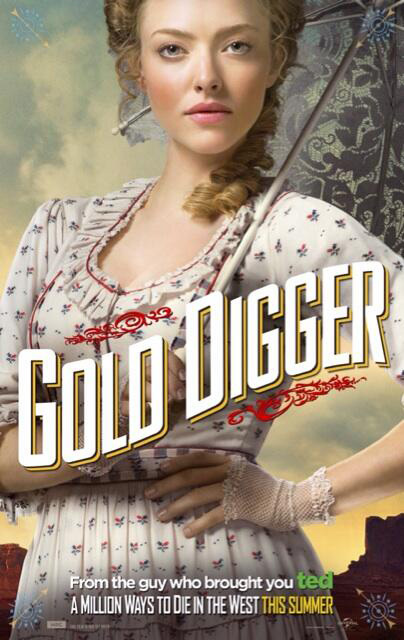 The posters feature the main characters of the story: MacFarlane, Amanda Seyfried, Neil Patrick Harris, Charlize Theron, Liam Neeson, Giovanni Ribisi, and Sarah Silverman. "After Albert backs out of a gunfight, his fickle girlfriend leaves him for another man. When a mysterious and beautiful woman rides into town, she helps him find his courage and they begin to fall in love. But when her husband, a notorious outlaw, arrives seeking revenge, the farmer must put his newfound courage to the test." The movie will be released on May 30th, 2014. Hopefully we get a trailer for the movie soon, because I'm excited to see what MacFarlane is cooking up for his fans.